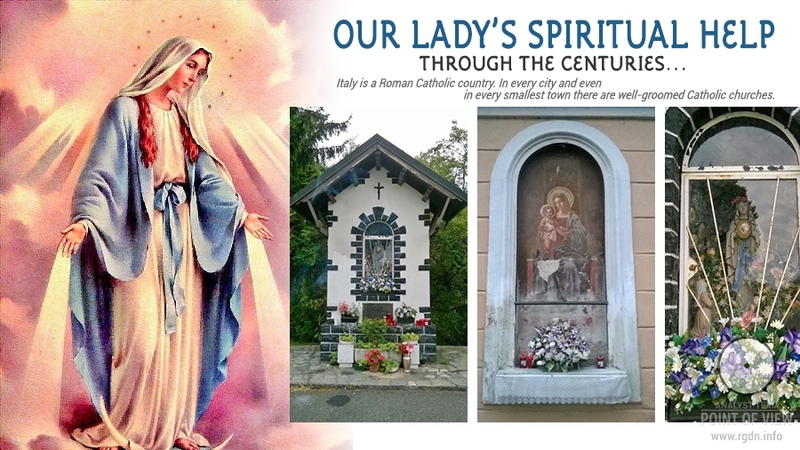 In the meantime, following the article One of the secrets of Mary Magdalene, Jesus Christ’s Beloved Disciple, we continue searching for the truth annoying to the official Church, and try to sort out what priests have been concealing from us, ordinary people, for millennia, and why they’ve been doing this. Having obtained the Knowledge as keys, any person “gets the door and his/her eyes opened”: he/she starts seeing the reality around from a totally different angle and comes to wonder, first and foremost, why people call themselves priests (“sacred servants”), hiding so many secrets? If people knew the truth, much could have changed in this world for the better, we are sure. Today, we will refer to Leonardo da Vinci’s mural painting The Last Supper, depicting the scene of Jesus Christ’s last meal with his disciples. 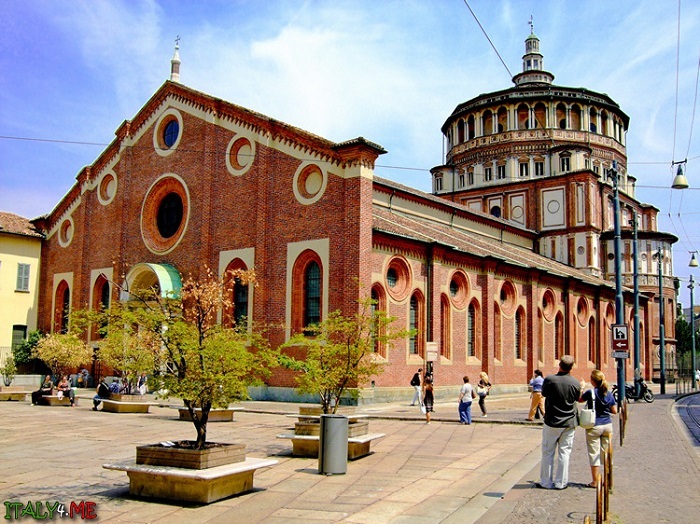 It was drawn in 1495-1498 in the Dominican Convent of Santa Maria delle Grazie, Milan. Why do we refer to this work of art? Like many unprejudiced researchers of the Bible, we are extremely interested why it’s totally obvious that a woman is depicted near Jesus in the painting, whereas the Church has been earnestly convincing people for millennia of its story about some Apostle John who supposedly wrote the fourth of the canon Gospels: “the Gospel St. John the Divine”, the “Beloved Disciple” of the Saviour. Painting dimensions: 460 cm × 880 cm (181 in × 346 in). It is located on the rear wall of the Convent refectory. The subject depicted is traditional for such premises. On the opposite wall of the refectory, there is a fresco by another artist, to which Leonardo added certain details as well. 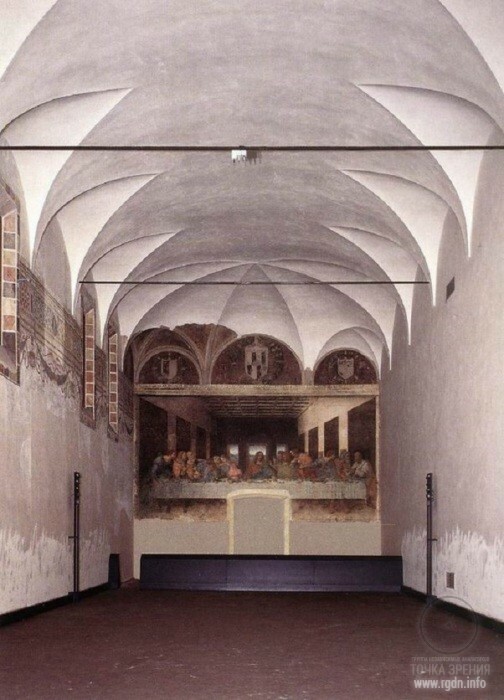 He painted The Last Supper on a dry wall rather than on wet plaster, so it is not a true fresco. 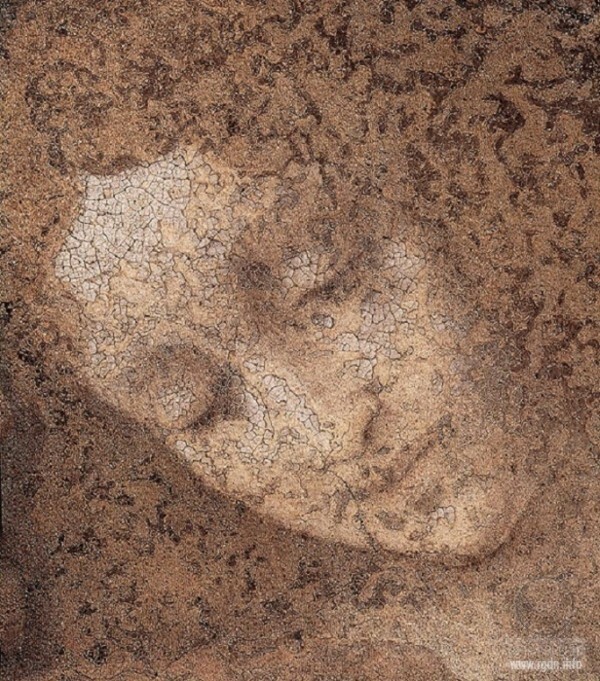 Because a fresco cannot be modified as the artist works, Leonardo instead chose to seal the stone wall with a double layer of dried plaster. Then, borrowing from panel painting, he added an undercoat of white lead to enhance the brightness of the oil and tempera that was applied on top. Due to the method used, the painting began to deteriorate in already several years after its completion. Matthew, Jude Thaddeus, and Simon the Zealot. The apostles are identified from a manuscript (The Notebooks of Leonardo da Vinci, p. 232) with their names found in the 19th century. Before this, only Judas, Peter, John, and Jesus were positively identified. It is considered the painting portrays the moment when Jesus said one of apostles would betray him (“Truly, truly I tell you, one of you will betray Me”), and the reaction given by each apostle. 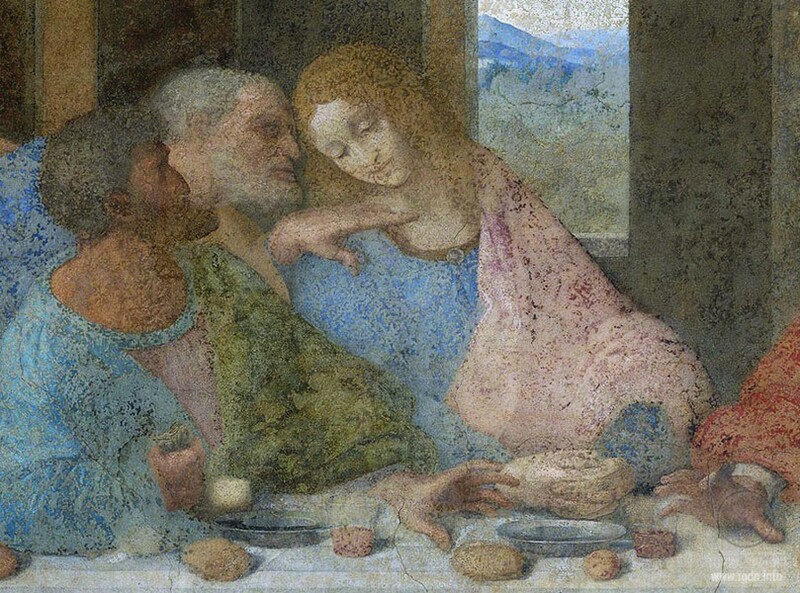 In common with other depictions of the Last Supper from this period, Leonardo seats the diners on one side of the table, so that none of them has his back to the viewer. Most previous depictions excluded Judas by placing him alone on the opposite side of the table from the other eleven disciples and Jesus, or placing halos around all the disciples except Judas. Leonardo instead has Judas lean back into shadow and hold a small pouch in his hand, possible meaning silver he has received for betraying Jesus or hinting at Judas’ status of a treasurer among the twelve apostles. He’s the only one having his elbow on the table. A knife in Peter’s hand pointing at Christ refers to the scene in the Garden of Gethsemane when Christ was arrested. Jesus’ gesture may be interpreted in two ways. According to the Bible, Jesus is predicting that his betrayer will take the bread at the same time he does. Distracted by the conversation between John and Peter, Judas reaches for a different piece of bread not noticing Jesus too stretching out with his right hand towards it. At the same time, Jesus points at bread and wine that symbolize the sinless body and spilled blood, respectively. The angles and lighting draw attention to Jesus, whose head is located at the vanishing point for all perspective lines. the shape of Jesus' figure resembles a triangle. The light illuminating the entire scene originates not from the windows depicted behind, but from the left, just like the real light coming from a window of the left wall. Many areas of the painting contain the golden ratio. For instance, where Jesus and John have put their hands, the painting is divided by such ratio. It is one of the most famous – and enduring – works of art in the world. Leonardo da Vinci’s fresco The Last Supper is the one surviving piece of the original church of Santa Maria delle Grazie near Milan, being on the only wall that remained standing after Allied bombing reduced the rest of the building to rubble in the Second World War. Although many other admired artists such as Ghirlandaio and Nicolas Poussin – even such an idiosyncratic painter as Salvador Dali – have also given the world their version of this significant biblical scene, it is Leonardo’s which has, for some reason, captured the imagination more than most. Versions of it are seen everywhere, encompassing both ends of the spectrum of taste, from the sublime to the ridiculous. Some images may be so familiar that they are never truly examined, and although they lie openly before the viewer’s gaze and invite closer scrutiny, at their most profound and meaningful level they actually remain totally closed books. 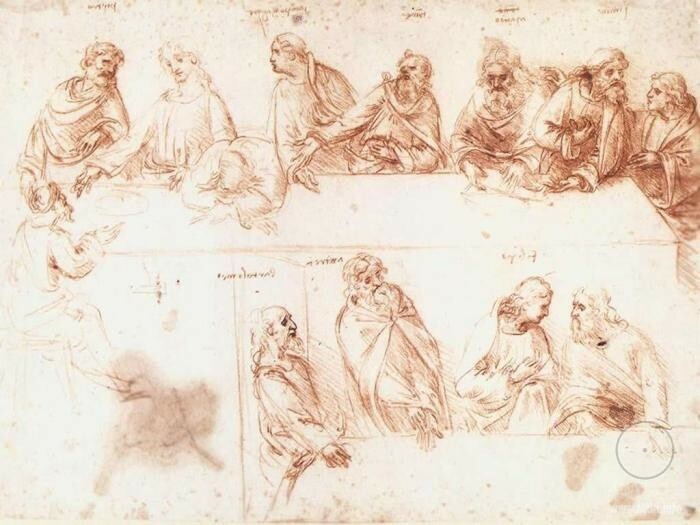 So it is with Leonardo da Vinci’s Last Supper – and, unbelievably enough, with almost all of his other remaining works. It was the work of Leonardo (1452-1519) – that tortured genius of Renaissance Italy – that was to draw us on to a path that led to discoveries so breathtaking in their implications that at first it seemed impossible: impossible that generations of academics had simply not observed what leapt to our startled notice – and impossible that such explosive information had lain patiently waiting all this time for writers like us from outside the mainstream of historical or religious research to discover. 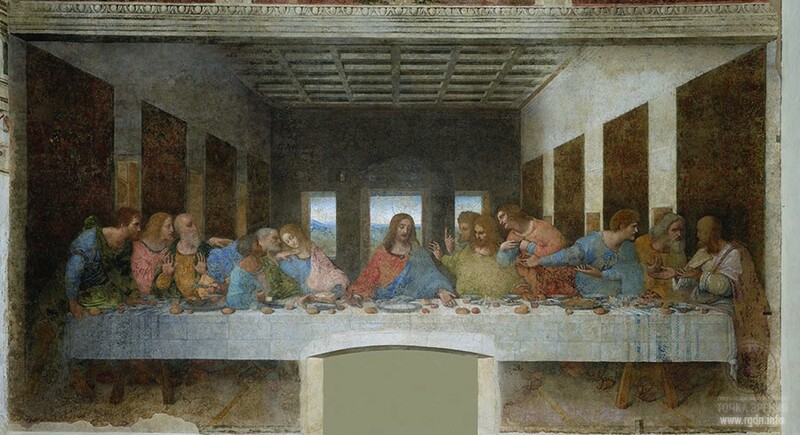 So, to begin our story proper we have to return to Leonardo’s Last Supper and look at it with new eyes. This is not the time to view it in the context of the familiar art-historical assumptions. This is the moment when it is appropriate to see it as a complete newcomer to this most familiar of scenes would see it, to let the scales of preconception fall from one’s eyes and, perhaps for the first time, really look at it. The central figure is, of course, that of Jesus, whom Leonardo referred to as “the Redeemer” in his notes for the work. He looks contemplatively downwards and slightly to his left, hands outstretched on the table before him as if presenting some gift to the viewer. As this is the Last Supper at which, so the New Testament tells us, Jesus initiated the sacrament of the bread and wine, urging his followers to partake of them as his “flesh” and “blood”, one might reasonably expect some chalice or cup of wine to be set before him, to be encompassed by that gesture. After all, for Christians this meal came immediately before Jesus’ “Passion” in the garden of Gethsemane when he fervently prayed that “this cup pass from me…” – another allusion to the wine/blood imagery – and also before his death be crucifixion when his holy blood was spilled on behalf of all mankind. Yet there is no wine in front of Jesus (and a mere token amount on the whole table). Could it be that those spread hands are making what, according to the artists, is essentially an empty gesture? In the light of the missing wine, perhaps it is also no accident that of all the bread on the table very little is actually broken. As Jesus himself identified the bread with his own body which was to be broken in the supreme sacrifice, is some subtle message being conveyed about the true nature of Jesus’ suffering? 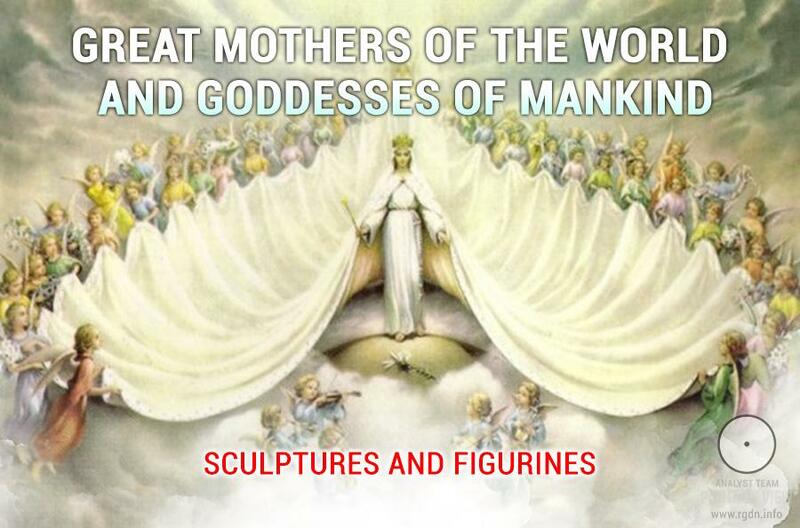 This, however, is merely the tip of the iceberg of the unorthodoxy depicted in this painting. In the biblical account it is the young St. John – known as “the Beloved” – who was physically so close to Jesus on this occasion as to be leaning “on his bosom”. Yet Leonardo’s representation of this young person does not, as required by the biblical “stage directions”, so recline, but instead leans exaggeratedly away from the Redeemer, head almost coquettishly tilted to the right. Even where this one character is concerned this is by no means all, for newcomers to the painting might be forgiven for harbouring curious uncertainties about the so-called St. John. For while it is true that the artist’s own predilections tended to represent the epitome of male beauty as somewhat effeminate, surely this is woman we are looking at. Everything about “him” is startlingly feminine. Aged and weathered though the fresco may be, one can still make out the tiny, graceful hands, the pretty, elfin features, the distinctly female bosom and the gold necklace. This woman, for surely it is such, is also wearing garments that mark her out as being special. They are the mirror image of the Redeemer’s: where one wears a blue robe and a red cloak, the other wears a red robe and a blue cloak in the identical style. No one else at the table wears clothes that mirror those of Jesus in this way. But then no one else at the table is a woman. Central to the overall composition is the shape that Jesus and this woman make together – a giant, spread-eagled “M”, almost as if they were literally joined at the hip, but had suffered a falling out, or even grown apart. To our knowledge no academic has referred to this feminine character as anything other than “St. John”, and the “M” shape has also passed them by. Leonardo was, we have discovered in our researches, an excellent psychologist who amused himself by presenting the patrons who had given him standard religious commissions with highly unorthodox images, knowing that people will view the most startling heresy with equanimity because they usually only see what they expect to see. If you are commissioned to paint a standard Christian scene and present the public with something that looks superficially like it, they will never question its dubious symbolism. Yet Leonardo must have hoped that perhaps other who shared his unusual interpretation of the New Testament message would recognize his version, or that someone, somewhere, some objective observer, would one day seize on the image of this mysterious woman linked with the letter “M” and ask the obvious questions. Who was this “M” and why was she so important? Why would Leonardo risk his reputation – even his life in those days of the flaming pyre – to include her in this crucial Christian scene? Whoever she is, her own fate appears to be less than secure, for a hand cuts across her gracefully bent neck in what seems to be a threatening gesture. The Redeemer, too, is menaced by an upright forefinger positively thrust into his face with obvious vehemence. Both Jesus and “M” appear totally oblivious to these threats, each apparently lost in the world of their own thoughts, each in their own way serene and composed. But it is as if secret symbols are being employed, not only to warn Jesus and his female companion of their separate fates, but also to instruct (or perhaps remind) the observer of some information which it would otherwise be dangerous to make public. Is Leonardo using this painting to convey some private belief which it would have been little short of insane to share with a wider audience in any obvious fashion? And could it be that this belief might have a message for many more than his immediate circle, perhaps even for us today? Young Apostle John or Mary Magdalene? Let us look further at this astonishing work. To the observer’s right of the fresco a tall bearded man bends almost double to speak to the last disciple at the table. In doing so he has turned his back completely on the Redeemer. It is this disciple – St. Thaddeus or St. Jude – whose model is acknowledged to be Leonardo himself. Nothing that Renaissance painters ever depicted was accidental or included merely to be pretty, and this particular exemplar of the time and the profession was known to be a stickler for the visual double entendre. (His preoccupation with using the right model for the various disciples can be detected in his wry suggestion that the irritating Prior of the Santa Maria Monastery himself sit for the character of Judas!) So why did Leonardo paint himself looking so obviously away from Jesus? There is more. An anomalous hand points a dagger at a disciple’s stomach one person away from “M”. By no stretch of the imagination could the hand belong to anyone sitting at that table because it is physically impossible for those nearby to have twisted round to get the dagger in that position. However, what is truly amazing about this disembodied hand is not so much that it exists, but that in all our reading about Leonardo we have come across only a couple of references to it, and they show a curious reluctance to find anything unusual about it. Like the St. John who is really a woman, nothing could be more obvious – and more bizarre – once it is pointed out, yet usually it is completely blanked out by the observer’s eye and mind simply because it is so extraordinary and so outrageous. We have often heard it said Leonardo was a pious Christian whose religious paintings reflected the depth of his faith. As we have seen so far, at least one of them includes highly dubious imagery in terms of Christian orthodoxy, and our further research, as we shall see, reveals than nothing could be further from the truth than the idea that Leonardo was a true believer – a believer, that is, in any accepted, or acceptable, form of Christianity. Already, the curious and anomalous features in just one of his works seem to indicate that he was trying to tell us of another layer of meaning in that familiar biblical scene, of another world of belief beyond the accepted outline of the image frozen on that fifteenth-century mural near Milan. Whatever those heterodox inclusions may mean, they were, it cannot be stressed too much, totally at variance with orthodox Christianity. This itself is hardly news to many of today’s materialists/rationalists, for to them Leonardo was the right real scientist, a man who had no time for superstitions or religion in any form, who was the very antithesis of the mystic or the occultist. Yet they, too, have failed to see what is plainly set out before their eyes. To paint the Last Supper without significant amounts of wine is like painting the critical moment of a coronation without the crown: it either misses the point completely or is making quite another one, to the extent that it marks the painter out as nothing less than an out and out heretic, someone who did possess religious beliefs, but ones which were at odds, perhaps even at war, with those of Christian orthodoxy. And Leonardo’s other works, we have discovered, underline his own specific heretical obsessions through carefully applied and consistent imagery, something that would not happen if the artist were an atheist merely engaged in earning his living. These uncalled for inclusions and symbols are also much, much more than the sceptic’s satirical response to such a commission – they are not just the equivalent of sticking a red nose on St. Peter, for example. What we are looking at in the Last Supper and his other works is the secret code of Leonardo da Vinci, which we believe has a startling relevance to the world today. It may be argued that whatever Leonardo did or did not believe, this was merely the foible of one man, and a notoriously odd man at that, one whose story was one of endless paradoxes. He might have been a loner, but he was also the life and soul of the party; he despised fortune-tellers, but his accounts listed monies paid to astrologists; he was a vegetarian and caring animal-lover but his tenderness rarely extended to humankind; he obsessively dissected corpses and watched executions with a anatomist’s eye; he was both a profound thinker and a master of riddles, conjuring tricks and hoaxes. Given such a complex outlook, it is perhaps only to be expected that his personal views on religion and philosophy were unusual, even quirky. For that reason alone, it may be tempting to dismiss his heretical beliefs as irrelevant to today. While it is generally admitted that Leonardo was hugely gifted, the modern tendency to arrogant “epochism” seeks to undermine his achievements. After all, when he was in his prime, even the technique of printing was a novelty. What could one lone inventor of such a primitive time possibly have to offer a world that is endlessly informed by surfing the Net, and which can, in a matter of seconds, communicate through the telephone or the fax machine with people on continents that had not even been discovered in his day? There are two answers to that. The first is that Leonardo was not, to use a paradox, a run-of-the-mill genius. Whereas most people know that he designed flying machines and primitive military tanks, some of his inventions were so unlikely for his day that those of a more whimsical turn of mind have even suggested that he might have actually had visions of the future. His designs for a bicycle, for example, only came to light in the late 1960s. Unlike the painfully protracted trial-and-error stages in the development of the early Victorian bicycle, however, the da Vinci roadracer had two wheels of equal size and a chain and gear mechanism. But even more fascinating than the actual design, is the question of what possible reason he could have had for inventing a bike in the first place. For man has always wanted to fly like the birds, but having a driving desire to pedal along less than perfect roads precariously balanced on two wheels is completely mystifying (and does not, unlike flying, figure in any classic fable). Leonardo also predicted the telephone, among many other futuristic claims to fame. 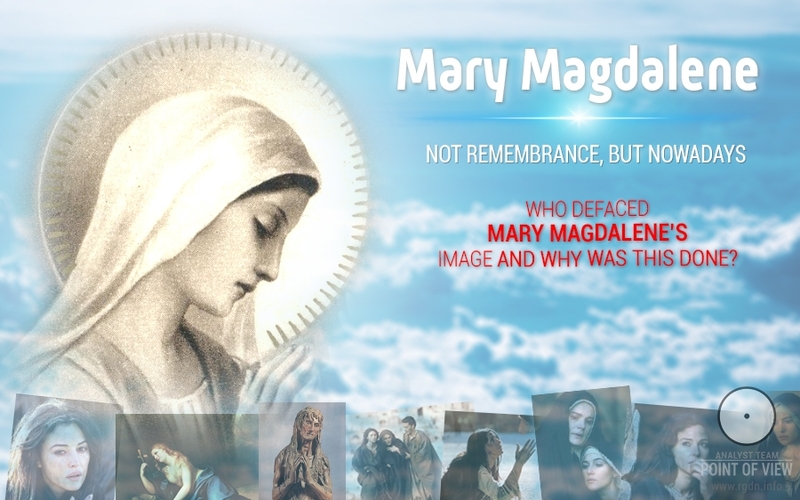 Particularly heated discussions started in the world after screening of the scandalous novel The Da Vinci Code by Dan Brown, where among other things he asserts that Mary Magdalene was not only Jesus’ Beloved Disciple, but also his spouse, i.e. wife. 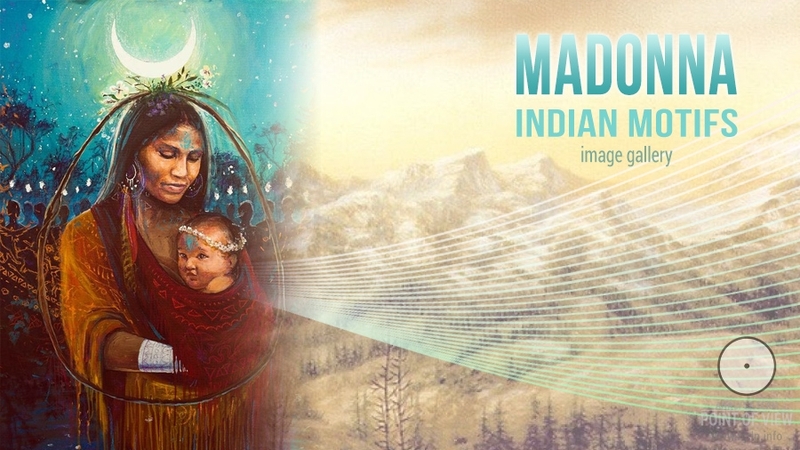 The book has been translated into 44 languages and published in more than 81 million copies. 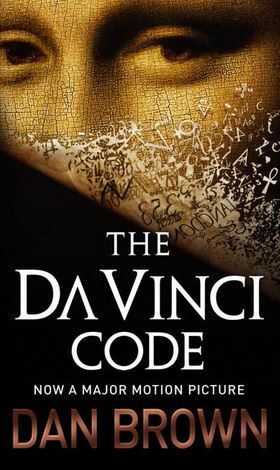 The Da Vinci Code is ranked number one among bestsellers, according to New York Times, and many people consider this novel to be the best book of the last decade. The novel written in the manner of a mystery-detective thriller has provoked wide interest in the legend of the Holy Grail and Mary Magdalene’s role in the history of Christianity. However, the Christian community reacted to the book and movie release quite negatively, and Dan Brown’s version was attacked by a thousand of critical comments and reviews. The most telltale was one of zealous servants of religion, who even urged the public to boycott the movie, “strikingly antichristian, hostile to the church, full of slander, offence, historical and theological blunders regarding Jesus and the Gospels”. Nonetheless, discarding religious narrow-mindedness, it can be stated with certainty: none of the book and movie critics lived in those times and is aware of the true history. Such history might be known to the person whose name is indicated in our website title, and we shall go back to his words later on. Now, let’s look at the extant Leonardo da Vinci’s sketch of The Last Supper. The second figure on the left in the upper row has distinct feminine features, smoother and lighter forms. Who could this be other than a woman? Everyone sees what they are willing to see: this is one of the mysterious laws of human consciousness. If one’s consciousness believes white is black, it will earnestly defend its rightness. We were not there when the genius artist was creating his famous work of art, neither were we present at the epoch-making events of Jesus Christ’s life, and so it would be fair to finish this article with a statement that we cannot know for sure whether John or Mary is depicted in this mural painting. However, judging purely subjectively, Leonardo da Vinci’s painting does depict a woman who cannot be anyone else, but Jesus’ Beloved Disciple Mary Magdalene. The Church’s opinion that it’s Apostle John is no less subjective than ours. 50 / 50 – no more and no less!! !